Xiaomi, a Chinese electronic country is all set to release its Mi A2 in India on August 8. The company has already released Mi A2 and Mi A2 Lite in Madrid, Spain on July 24th. Manu Kumar, Xiaomi’s global vice president confirmed the news regarding the release of Mi A2. Both Mi A2 and Mi A2 Lite are going to have Android version 8.1 Oreo and will run on Android One which is quite out of the box. Mi A2 would not have MIUI. Although Mi A2 is going to release next month in India, there is yet no information about the release of Mi A2 Lite. It is being said that the cost of Mi A2 may vary from Euros 249 to Euros 349 depending on the RAM and storage size, the 6GB RAM and 128GB storage would cost the users around Rs. 22,000 whereas 32GB storage would cost Rs. 20,000. The highest price of the Mi A2 is going to be approximately Rs. 28,000. The launch price of Mi A1 was Rs. 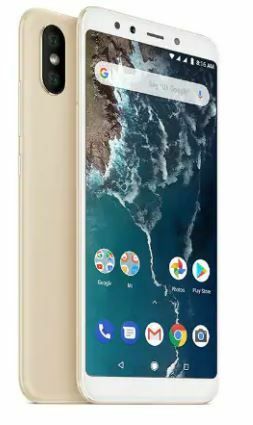 14,999 while this time the launch price of Mi A2 is Rs. 20,000 which is quite higher than the previous model. Mi A2 is going to have a few special features like the rear fingerprint sensor with a light sensor, proximity sensor, accelerometer, compass, and gyroscope. The phone has a quick charging feature, which means the phone will get charged in lesser time. The device has Android v8.1 Oreo and supports dual sim, GSM+GSM, the sim size accepted by the device is nano sim. The phone supports 4G, 3G, and 2G. The device has a Qualcomm Snapdragon 660 chipset with Adreno512 graphics. It has Octa-Core (2.2 GHz, Quad core, Kryo 260+1.84 GHz Quad core, Kryo 260) processor. It offers 4GB and 6GB RAM. If the design of the phone is taken into consideration, the phone has a thickness of 7.3 mm, a width of 75.4 mm, and weight of approximately 168 grams with a height of 158.7 mm. The phone has various color options to choose from. It comes in Black, Gold, and Lake Blue. It has an IPS LCD display type and 18:9 aspect ratio. It has a 77.38% screen to body ratio with 403 PPI. The phone has a screen protector as it contains Corning Gorilla Glass v5. The screen resolution is 1080 X 2160 pixels with multi-touch. With its new features and the latest technology, Mi A2 is all set to get released in India. Please let us know in comments about your experience when you purchase Xiaomi Mi A2.